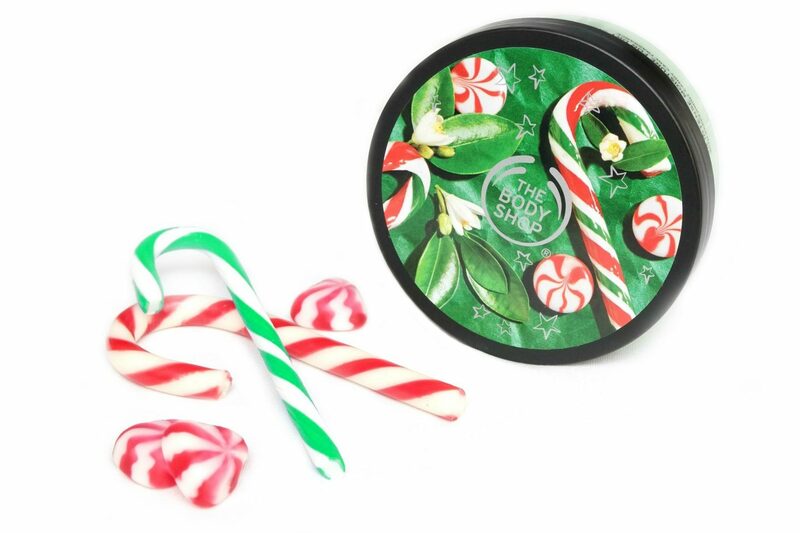 Every year, The Body Shop launches three Limited Edition Seasonal Holiday Collection scents. The scents are different every year and are always great for lighting up the Christmas mood and spirit. The scents for this year are Berry Bon Bon, Peppermint Candy Cane and Vanilla Marshmallow. For myself, the stars of the collection (which basically counts for every year) are the Body Butters. So for today’s post, I’m going to review the The Body Shop Holiday Season 2018 Body Butters. 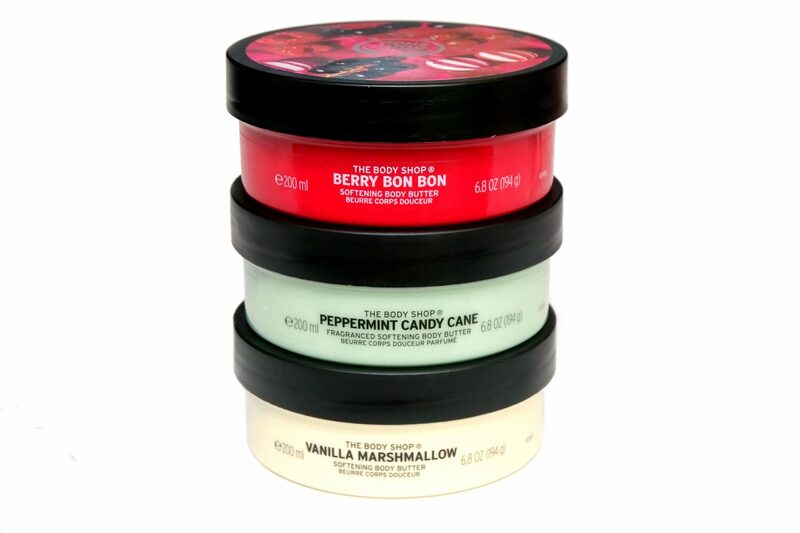 The The Body Shop Body Butters are my favorite when it comes to Body Butters. They feel so creamy and luxurious, have an amazing variety of scents, absorb quickly into the skin and deeply moisturize (up to 24 hours) due to the addition of Community Trade Shea Butter from Ghana, also featuring Sesame Seed Oil from Nicaragua, Soya Oil from Brazil, Babassu Oil from Brazil, Cocoa Beans from Ghana and Beeswax from Cameroon. 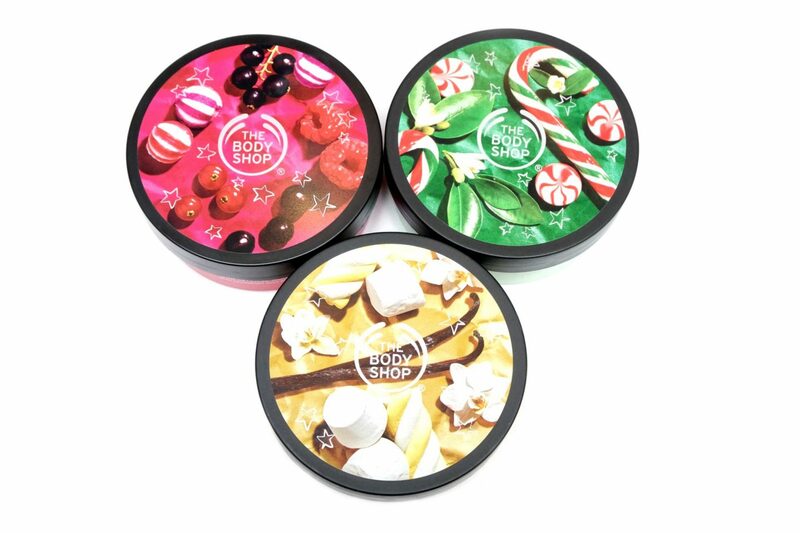 Like always, the The Body Shop Holiday Season 2018 Body Butters come in a 200 mL jar, but are also available in the smaller, 50 mL version. Each of the jars shows an image of the scents inspiration. I always love how the The Body Shop Body Butters look, changing the details of the packaging depending on the scent. The only thing that I don’t like is that the jars are never sealed, so someone can open the jar in stores and touch the product. You can see on the surface if it has been messed with but I would personally prefer an extra barrier. 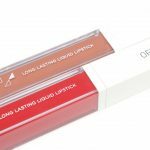 I do understand why The Body Shop doesn’t provide an extra seal though because it is an extra waste of material. 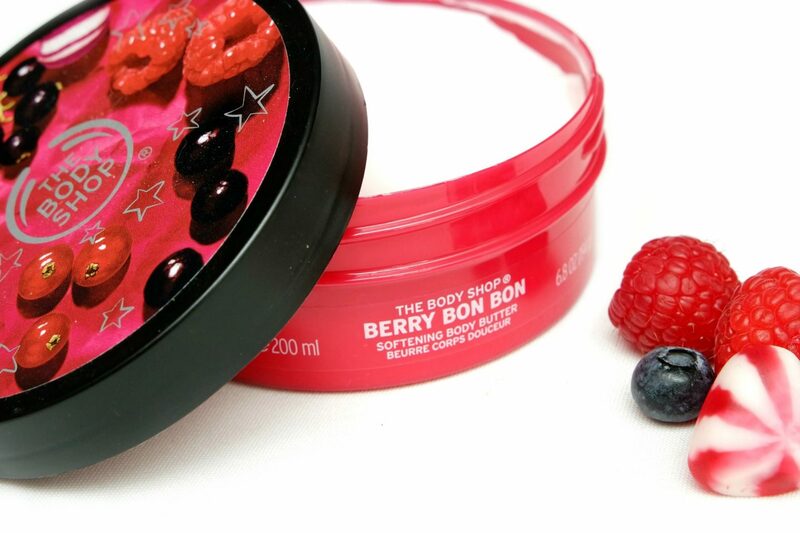 The The Body Shop Berry Bon Bon Body Butter is scented like fresh Cranberries freshly foraged from the forest, enriched with Cranberry Seed Oil Extract from North America. I’m usually not a fan of fruity scents but I actually like this one. 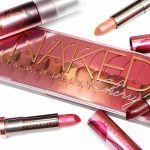 It does smell like Cranberries; juicy, fresh, sweet but not too overly-sweet. 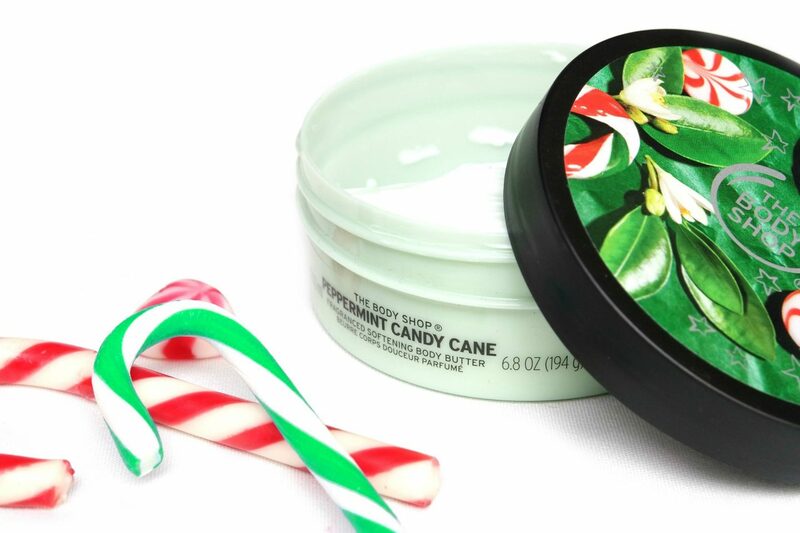 The The Body Shop Peppermint Candy Cane Body Butter is scented to smell exactly like the name suggests, a refreshing scent of Peppermint Candy Cane . It is also exactly how I experience the scent. I usually love Peppermints after dinner but unfortunately, is way too overwhelming as a body scent. This scent is so strong that it gives me a headache, even smelling it for a second is already too much for me. This scent isn’t for me however, I would definitely suggest to smell this product in store if you’re obsessed with minty scents because it is very unique but probably not suitable for everyone. 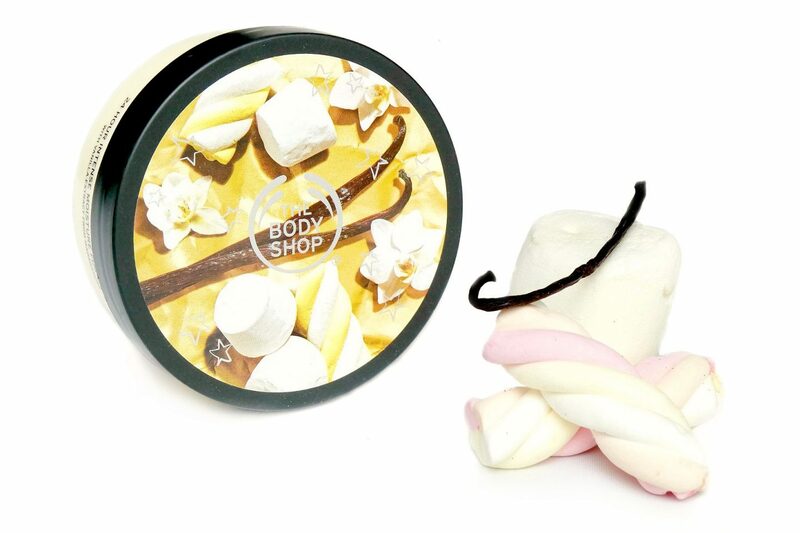 The The Body Shop Vanilla Marshmallow Body Butter is scented with warm Vanilla with a sweet and creamy touch of Marshmallow, enriched with creamy Vanilla Extract from Madagascar. 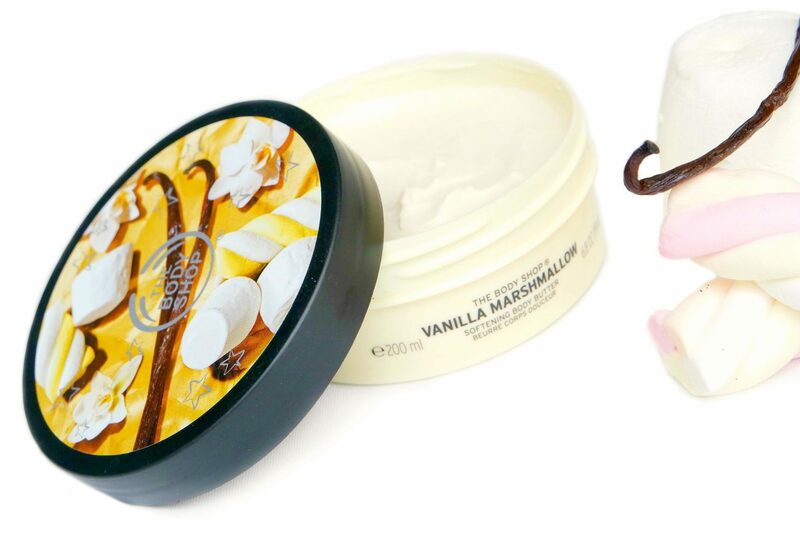 I think this is an absolutely awesome combination for people who love Vanilla and sweet scents. It is strong and the scent is more sweet (almost headache giving sweet) than warm, reminding me of Vanilla frosting. This is my favorite scent of the bunch. 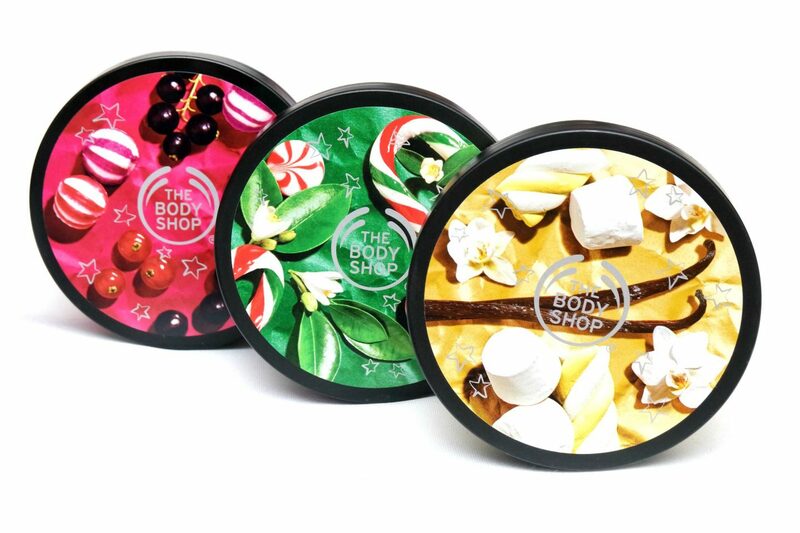 The Limited Edition The Body Shop Holiday Season 2018 Body Butters (€16,00 Euro/200 mL), as well as the other products in the collection are available at TheBodyShop.nl and The Body Shop stores. 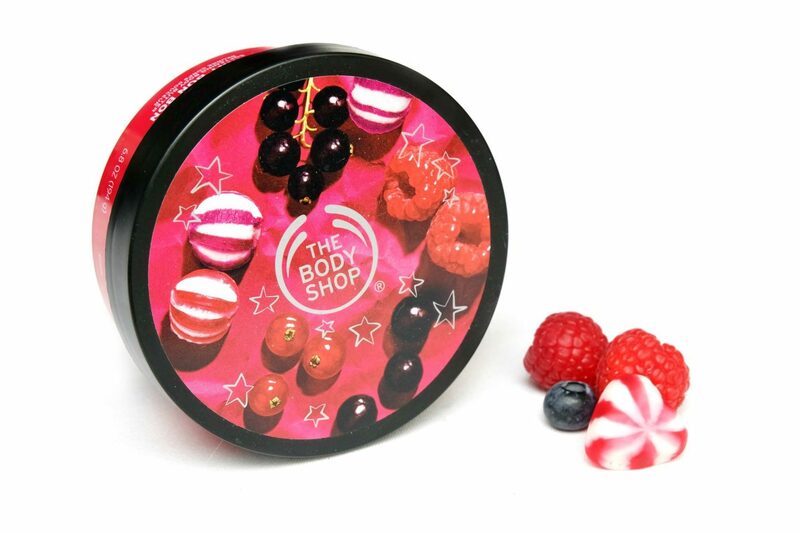 Have you smelled the Holiday Body Butters yet? Which one is your favorite? *Disclaimer: These products were PR gifted. 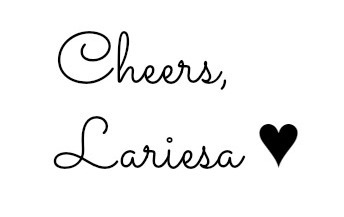 Please check out my disclosure page for more information. Oh wat jammer dat je hoofdpijn krijgt van Peppermint Candy Cane.. die leek mij net de lekkerste. Ik ga zeker eens snuffelen. De andere twee geuren ‘ken ik nu wel’, die hebben ze ieder jaar. 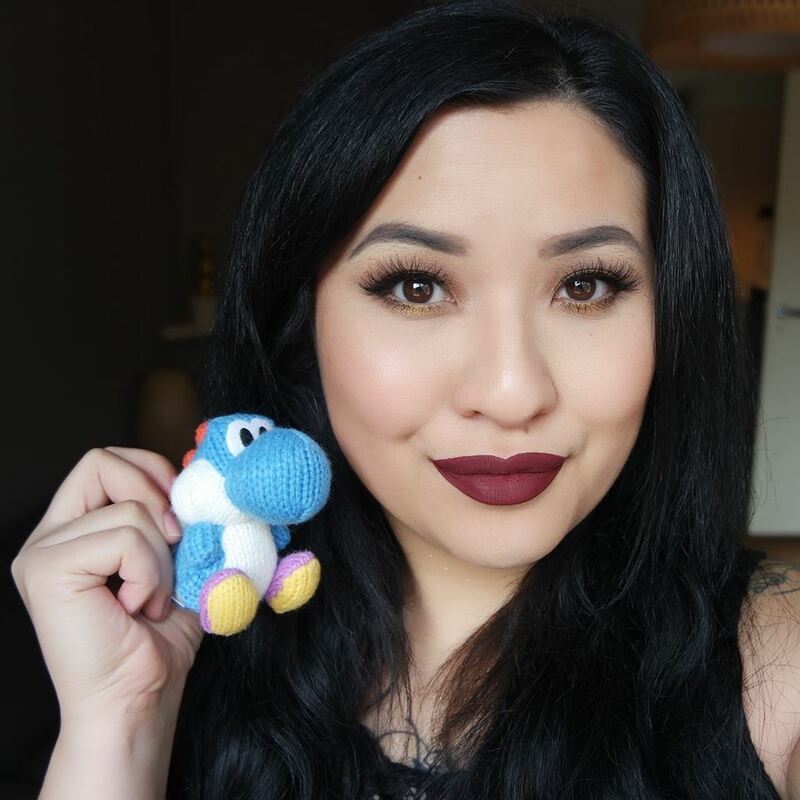 Van bessengeur ben ik niet wild, vanille wel.. maar ik heb nog een aantal body butters van TBS staan dus die moesten eerst maar op!